Cultural Vibrancy | SNP Strategies, Inc.
SNP helped an historic neighborhood art center to transform its facility and finances through launching an innovative comprehensive campaign. SNP supported an historic neighborhood art center to expand programming, build a new Creative Wing and grow its operating reserve. The campaign raised over $6 Million over a three-year period with only volunteer leadership and a small fundraising team comprised of three people. 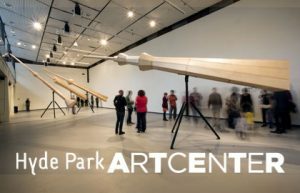 The Hyde Park Art Center is now a model for how an institution can simultaneously push contemporary art and artists forward, while connecting authentically with diverse communities and its immediate neighborhood. HPAC was honored by the MacArthur Foundation with a grant of $625,000 as a 2016 Creative and Effective Institution Award from the MacArthur Foundation. Click here to learn more: MEET THE 2016 RECIPIENTS. Case Study available. Click here to download.